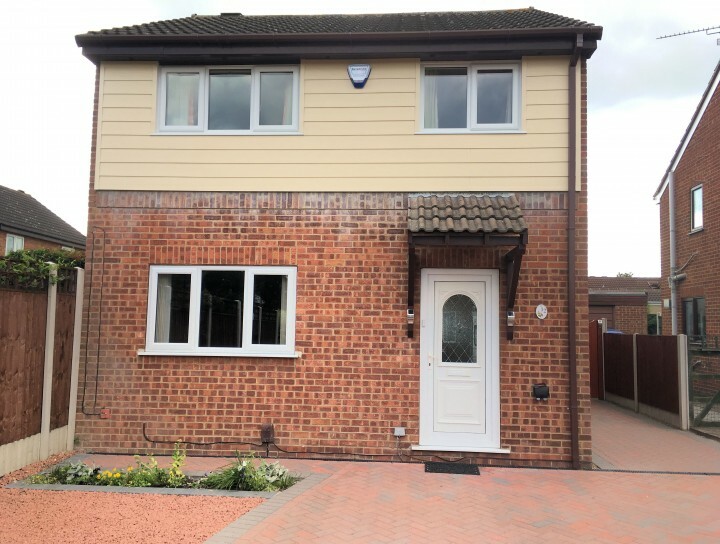 Browse our gallery of images and projects to see how others have used external wall cladding to transform their home. 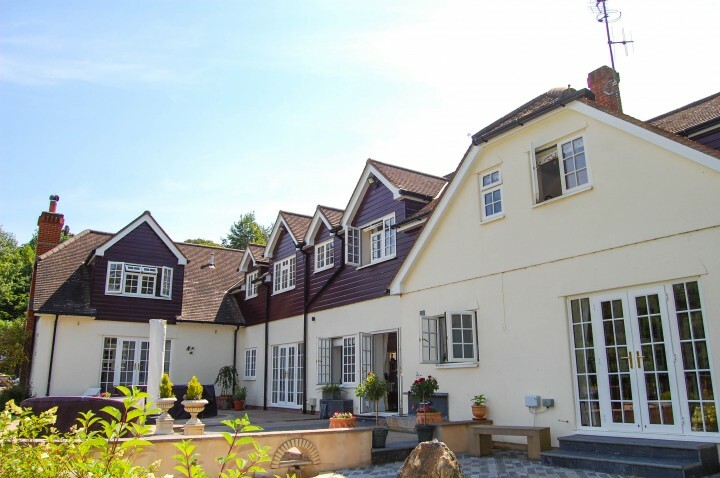 These include garden buildings, home extensions & new build projects using a range of cladding colours and textures. 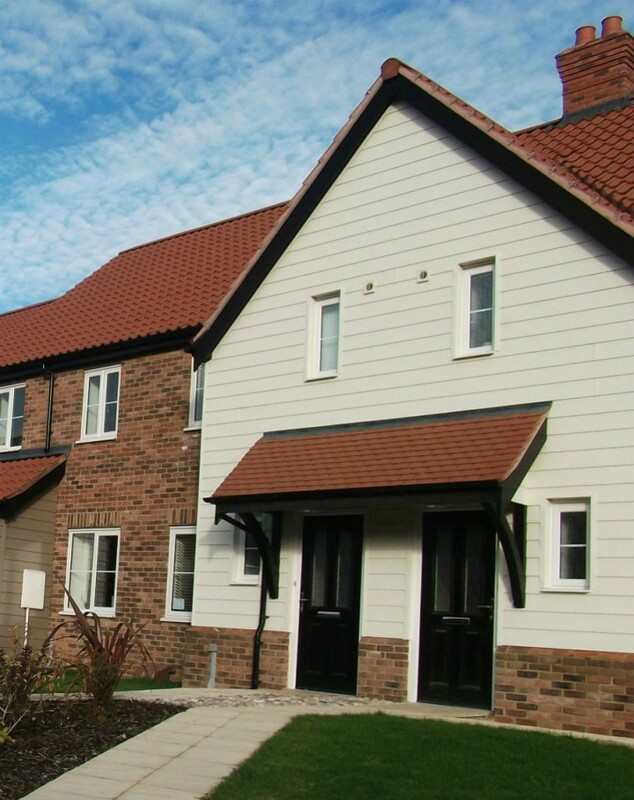 Share your cladding project and receive a £10 M&S voucher! As a thank you, we'll send you a £10 M&S voucher on us! We look forward to hearing from you! Terms and conditions apply. 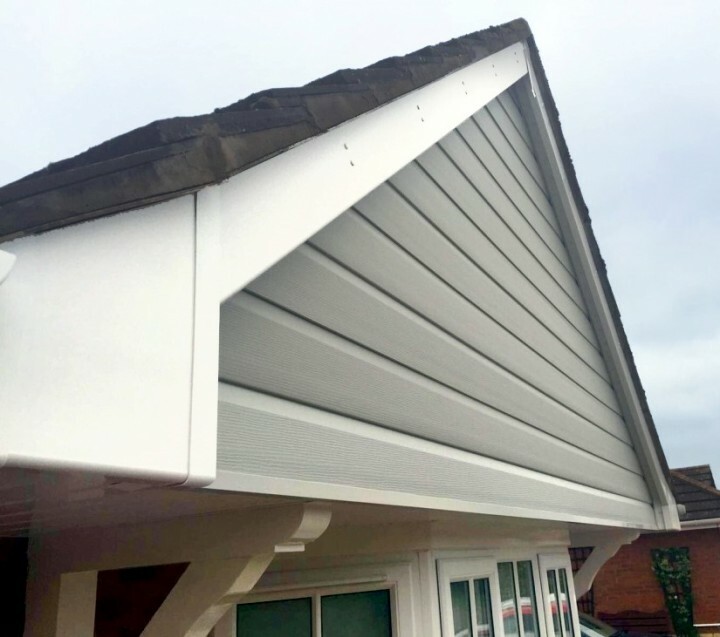 MyCladding on Pinterest has a range of design ideas on PVC external wall cladding – brought to you by one of the fastest growing roofline and cladding manufacturers in Europe. 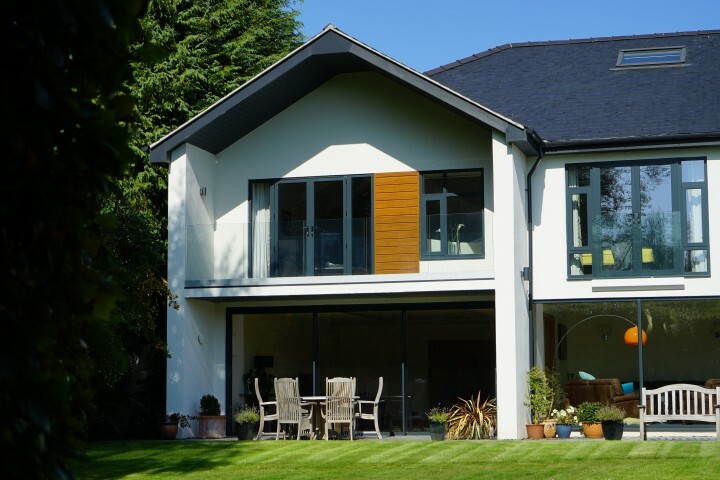 Lovely Image from Cherwell Design in Oxfordshire using the Fortex Weatherboared in Slate Grey on a Smart Dormer extension. 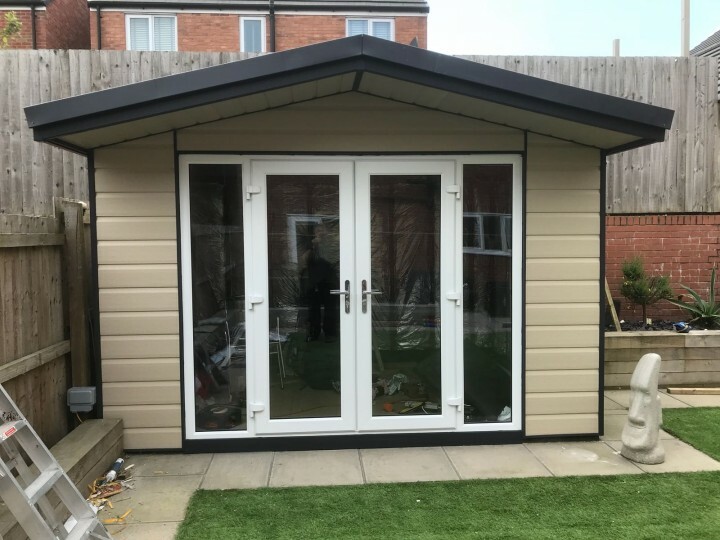 A fantastic job on this garden room by a Freefoam Registered Installer, NG Fascia Soffit and Guttering using Freefoam Storm Grey Weatherboard, White Fascia, Soffit and Black Round Rainwater products. 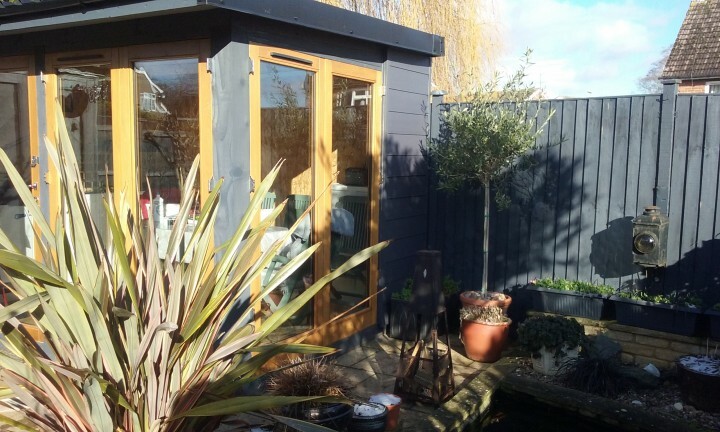 A beautiful garden room using a Freefoam Fortex cladding in Slate Grey. 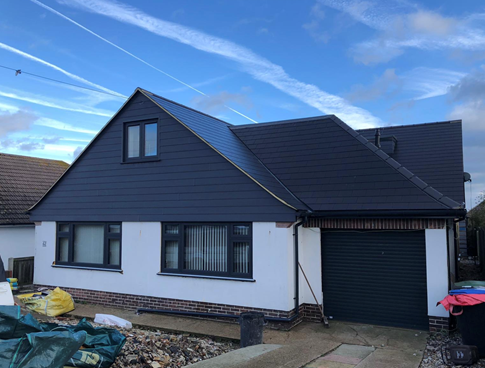 Freefoam X-Wood cladding in Anthracite Grey. 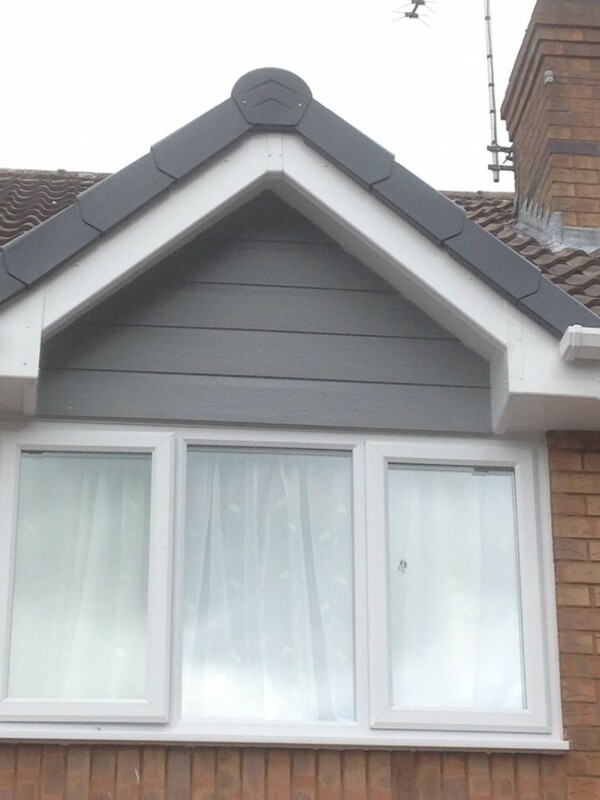 Misty Grey cladding fitted by Sol Home Improvements in Notthingham. Thanks for sharing. What a difference white cladding makes!! Give your home a modern look with a simple upgrade to the exterior. 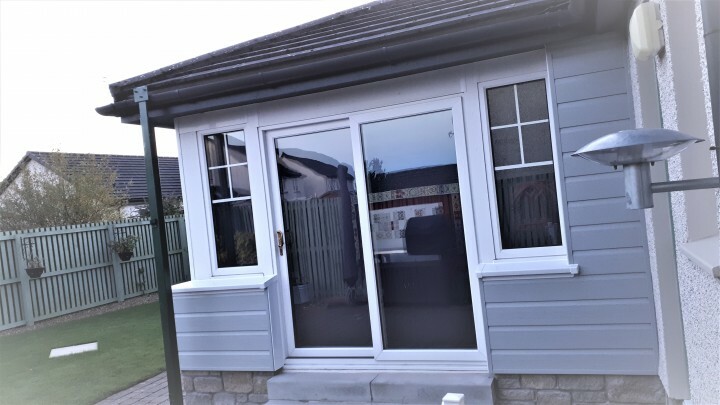 Many thanks to Conservatory renovation in Glenrothes for sharing this photo. 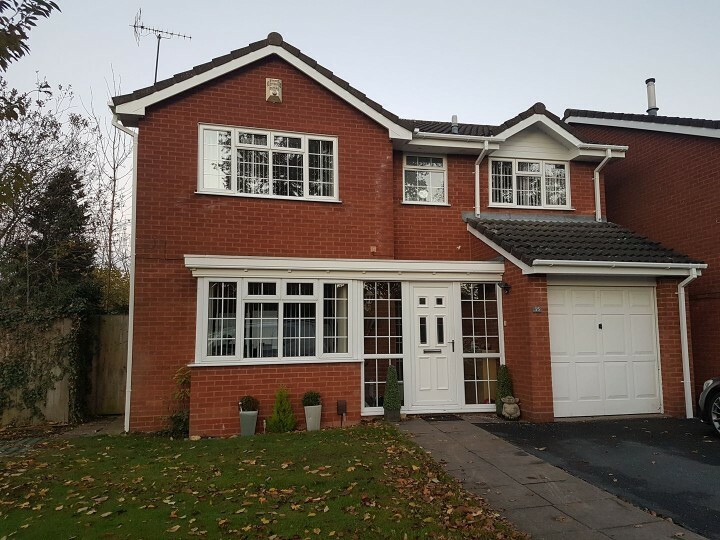 A stunning transformation to this beautiful home, using Frefoam Rosewood Cladding, Freefoam Fascia and Soffit. Many thanks to G J Booth Maintenance Serivces in Wiltshire, for submiting this image to showcase our product and his workmanship. 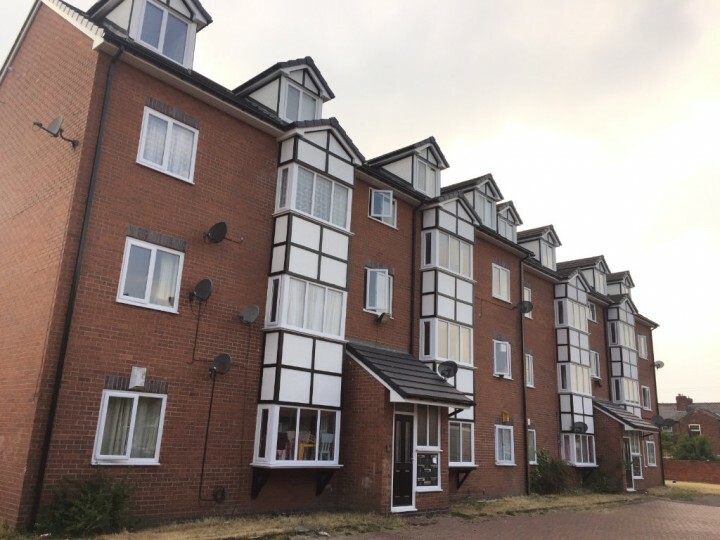 A beautiful transformation of a block of flats using Freefoam Fascia and soffit in Levenshume, installed by one of your registered installers Evoke Home Improvements. 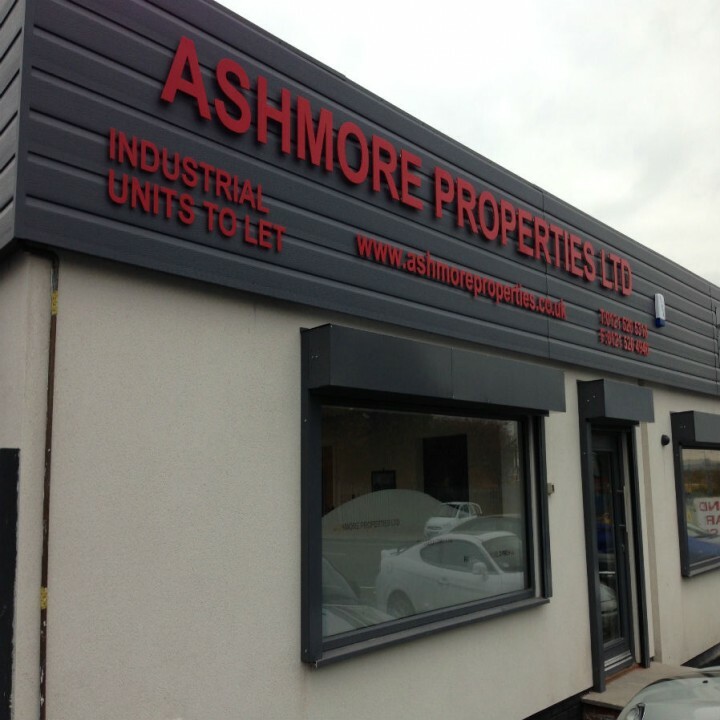 Many thanks to our Freefoam registered installerGutter Doctor for sending a phote of our White Cladding he used. 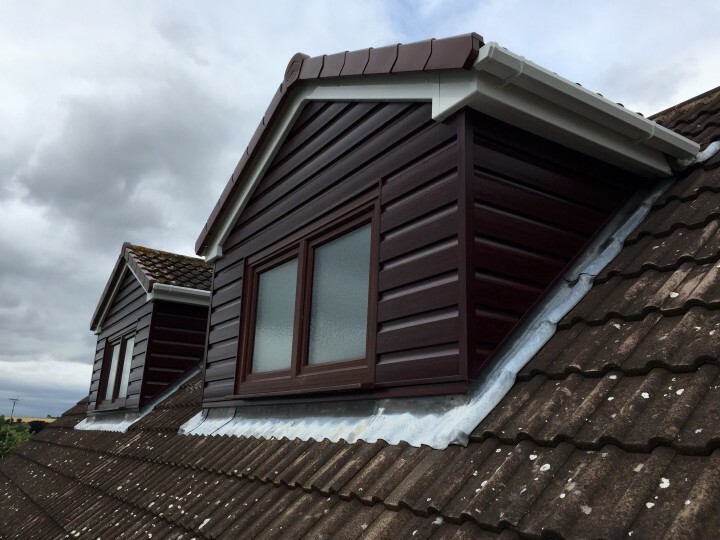 Why not give your dormer a facelift with our cladding. 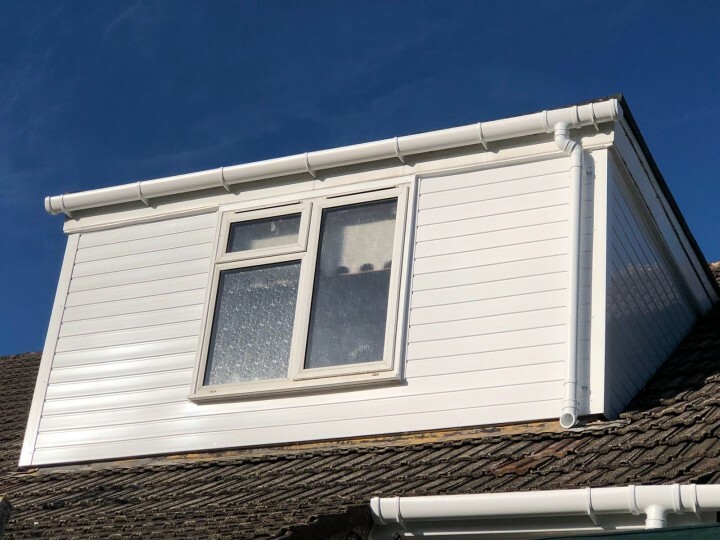 Here is a picture of Freefoams white cladding fitted on a dormer by our registered installer Eco Innovations. 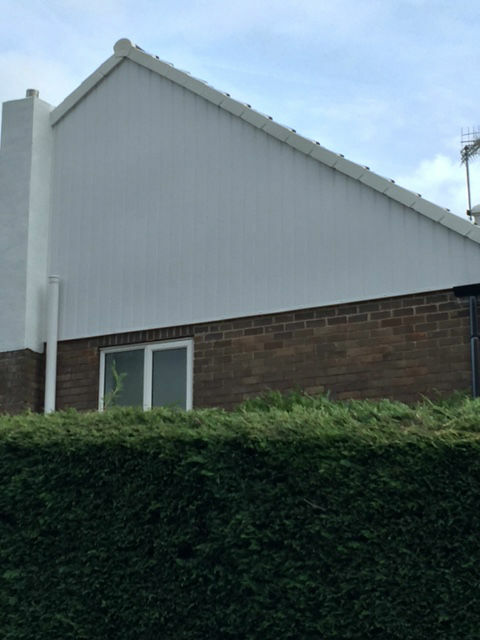 A beautifully fitted white cladding from our Freefoam reigstered installer Eco Innovations. What a difference this makes to this home. X-Wood Cladding in white has been used to create a stunning exterior. 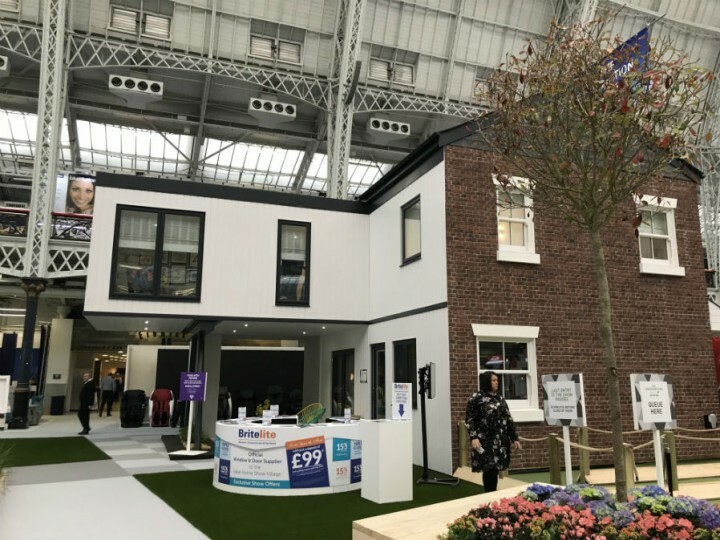 Featured at the 2018 Ideal Home Show to showcase a contemporary extension to a traditional property. 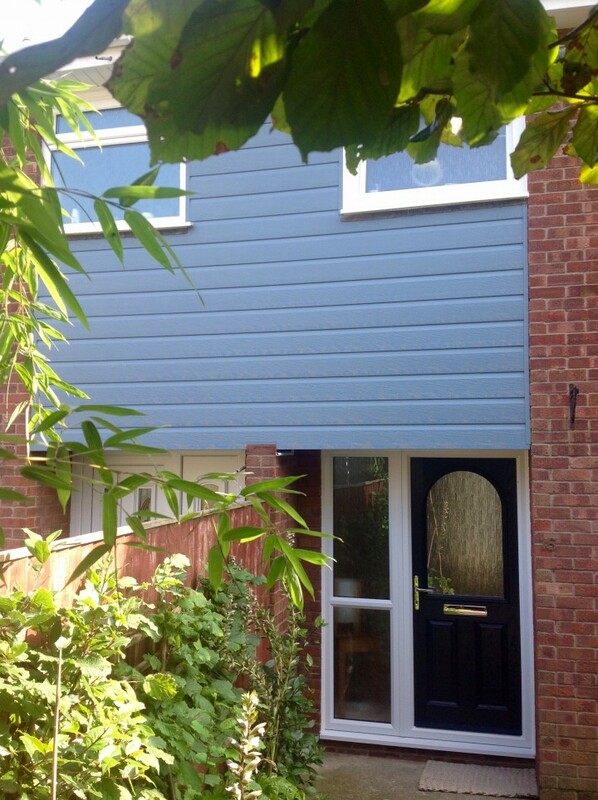 Thank you to Cheryl and Richard for sharing your Slate Grey Fortex Pro Double Shiplap installation with us! 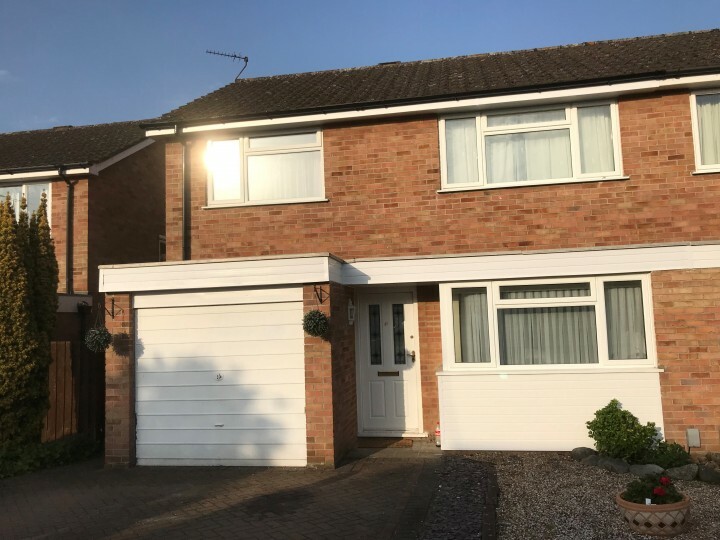 We love the way you have coordinated your door and our cladding, and we definitely love that you "are so pleased with it!" Well done to Abbey Windows in Reading for the fantastic installation. 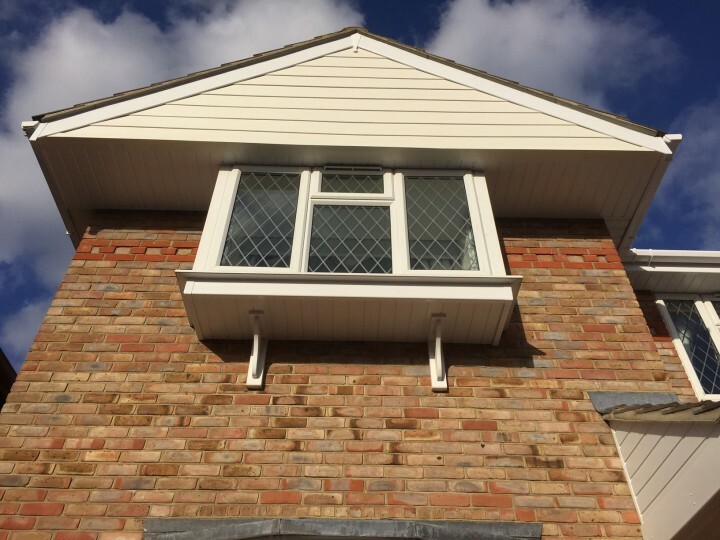 Our Light Oak Open Vee shiplap cladding offers a natural wood effect to this dormer without all of the pesky problems that come along with wood cladding. No rotting, discolouring or cracking here! 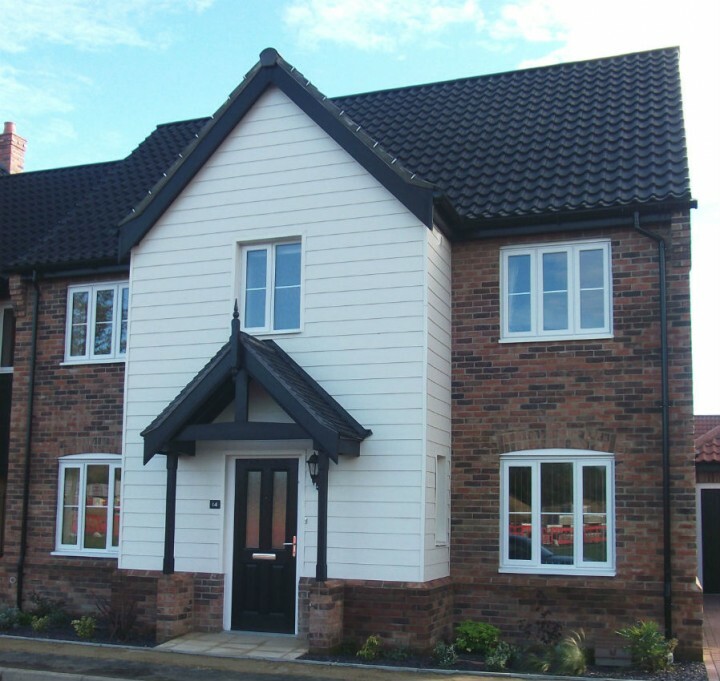 Thanks to Just Fascias for your photo. 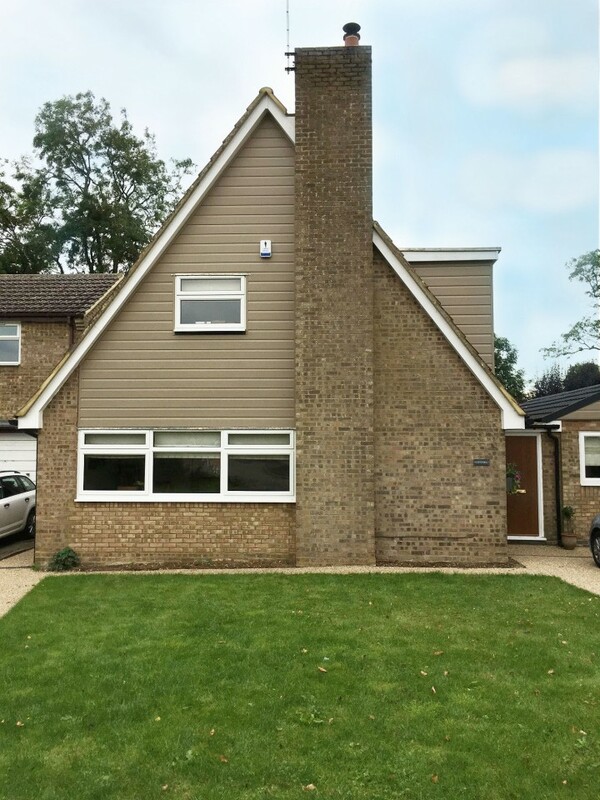 Try contrasting brick and cladding on different parts of your home. 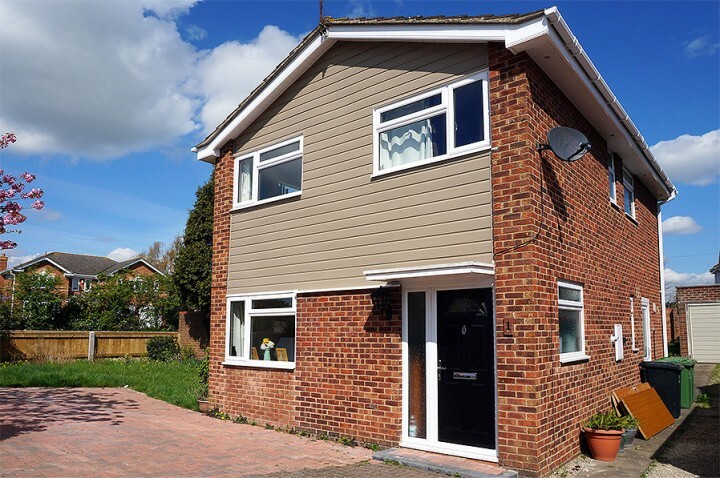 Here is an example of beautifully executed brick and Pale Gold Weatherboard Cladding mixture in Grays, Essex fitted by Merrydale Plastics. 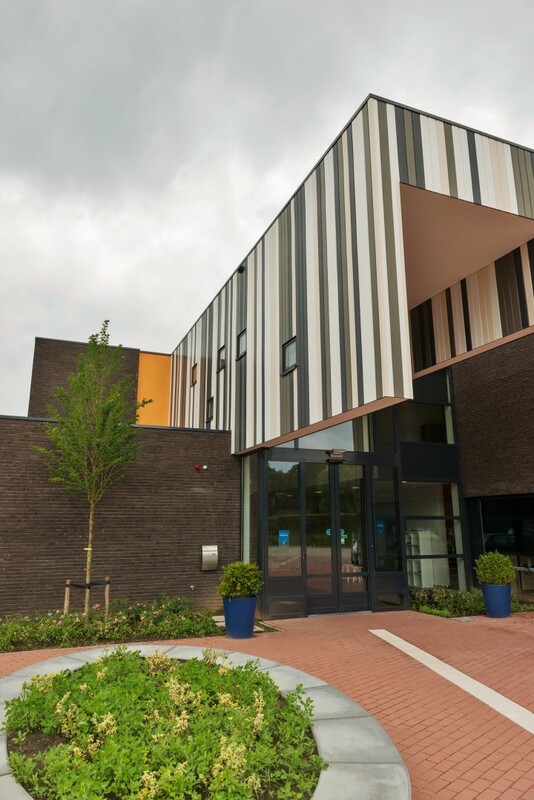 Our X Wood Premium Shiplap Cladding is perfect for commercial uses - see it here on a school in Belgium. They have cleverly used a mixture of Anthracite Grey, White, Cream, and Greyed Cedar woodgrain cladding to create a modern look. 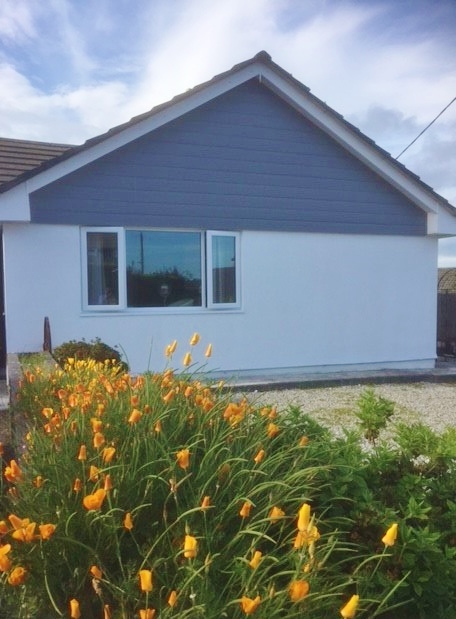 James from East Kilbride used Fortex Render embossed boards in white to create render effect on a retaining wall where water penetration ruled out actual render. Well done James! 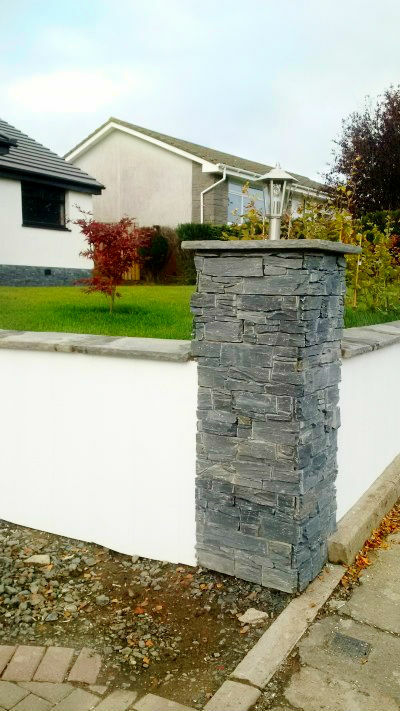 This Slate Grey self-installation from Rhys in Tonteg shows that you don't need to stick to light, subtle shades! 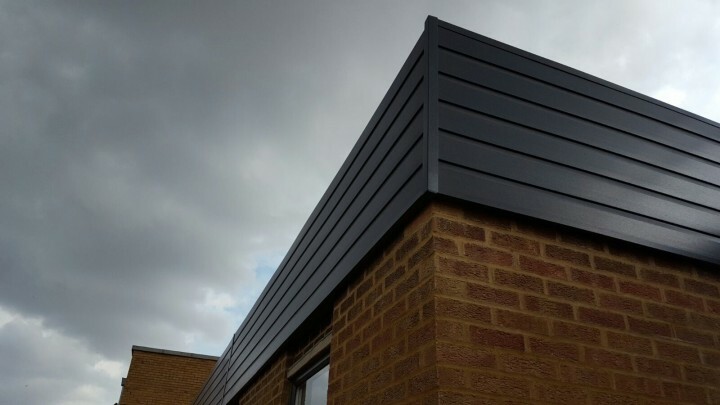 Try something bold like this dark shiplap cladding! This home looks like it was made for our Argyl Brown Double Shiplap Cladding! Thank you to Dorothy from Long Buckby for the lovely photo. 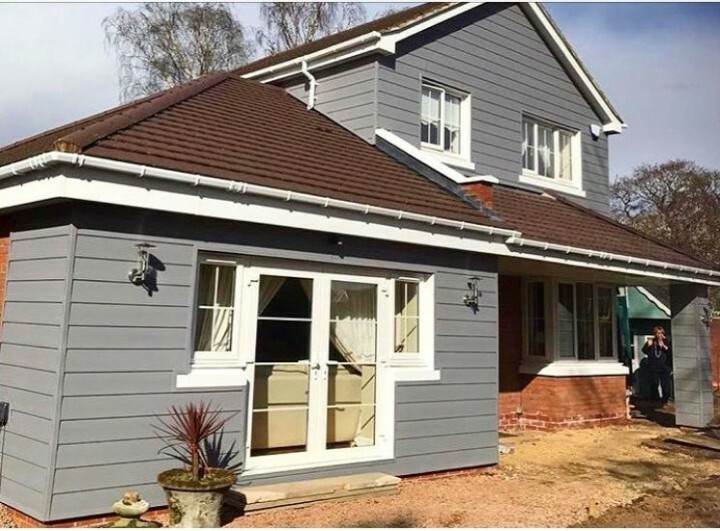 Thank you to Mike in Chepstow for this great picture of Colonial Blue double shiplap cladding! Looking good! 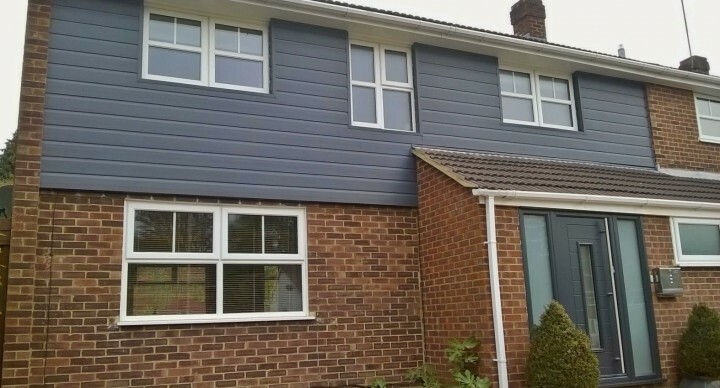 Replaced worn out timber cladding with Fortex Pro in Slate Grey. Cladding doesn't have to cover your whole property - it can be seen here as an accent on smaller walls. 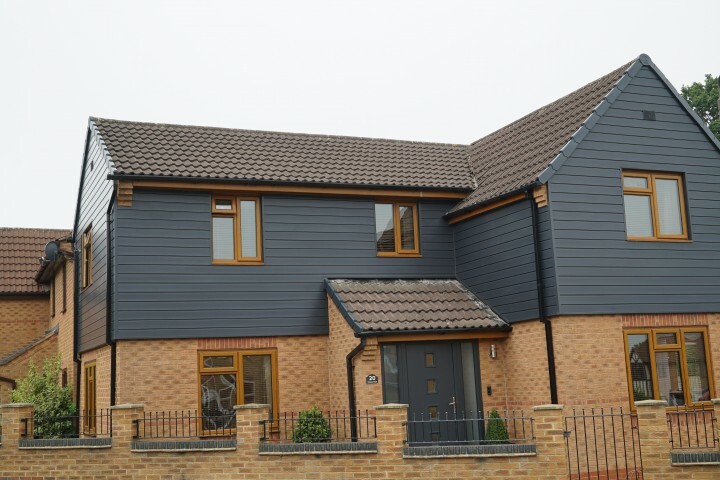 Our wood effect cladding, available in subtle shades, can perfectly accent a newly built home. 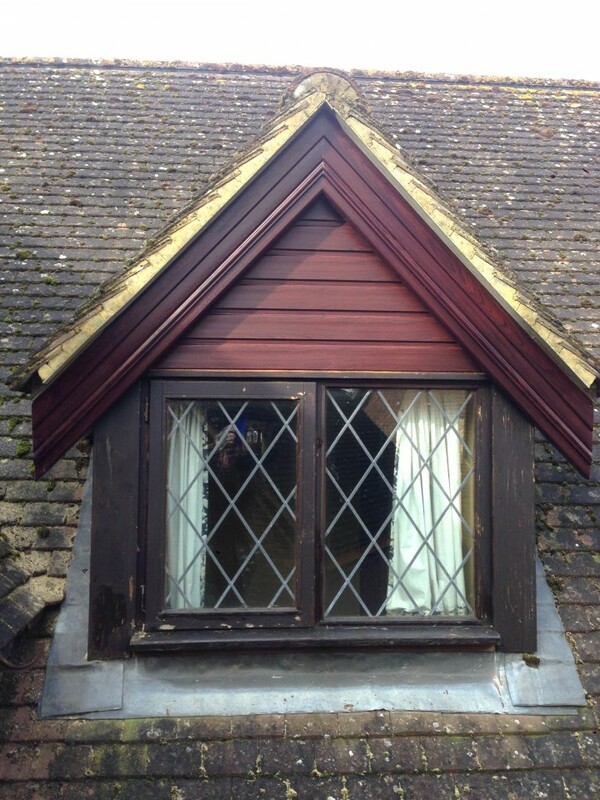 This dormer window has been given a facelift with Mahogany woodgrain shiplap cladding. 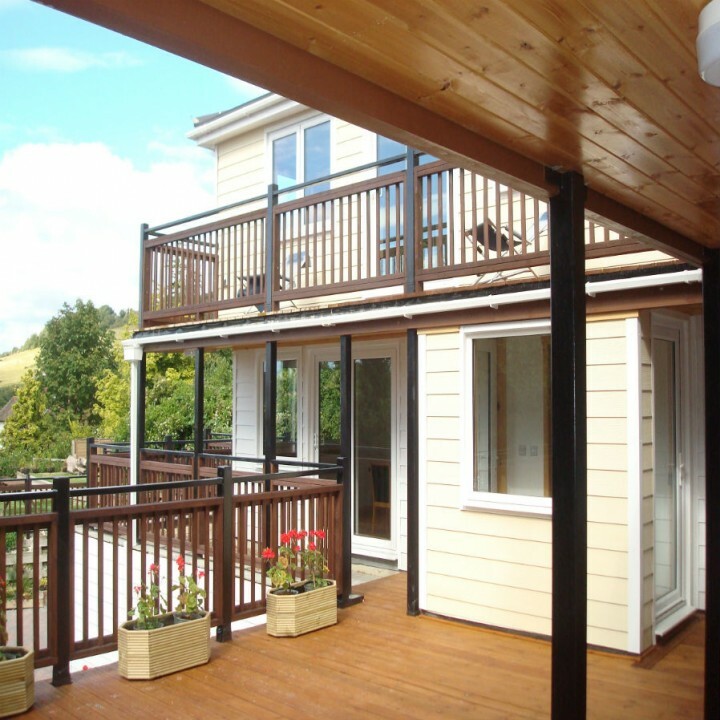 This classic coordinated look brought to you by Fortex Argyl Brown weatherboard cladding. 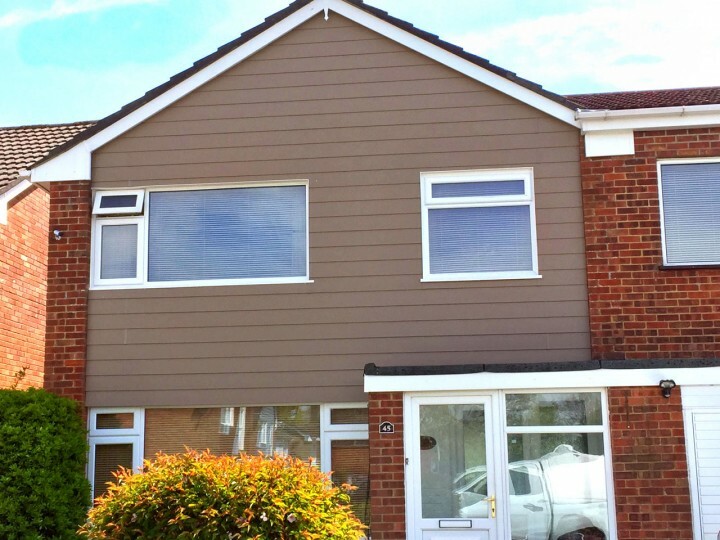 Thanks for the lovely photo of your Pale Gold weatherboard cladding TGC Ltd in Benfleet! Looks great! 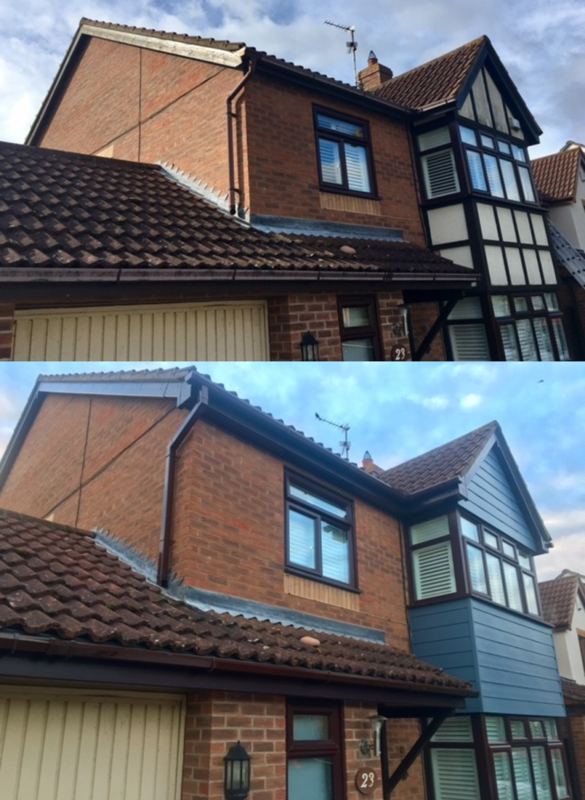 A great installation of Colonial Blue shiplap cladding from PVC Solutions Ltd in Exmouth! Well done! 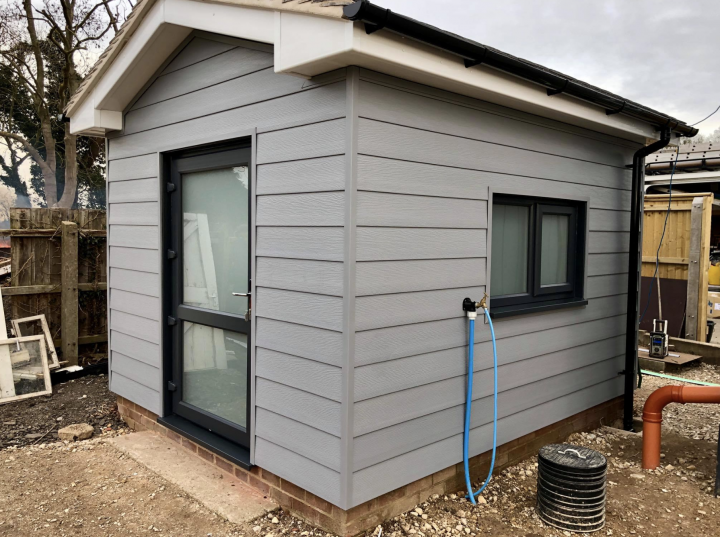 Thank you to Flowline Plastics in Norwich for the great photo of Anthracite Grey shiplap cladding! 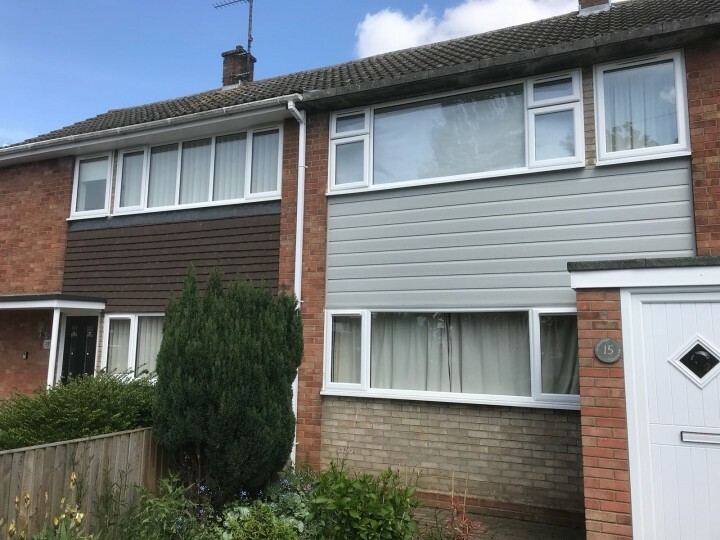 Congratulations to Simon Cresswell from The Gutter Company in Christchurch on winning our Installer Cladding Photo Competition! 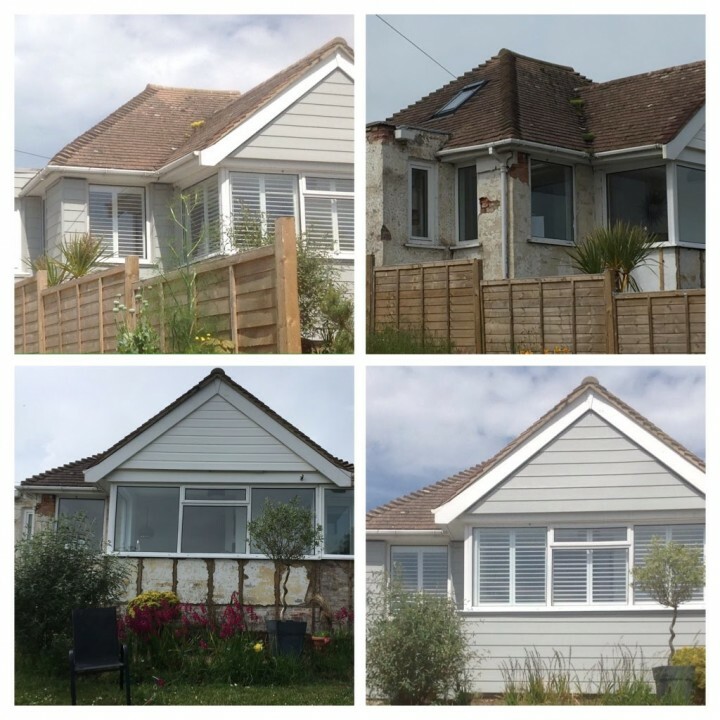 He used our Argyl Brown 170mm Weatherboard to replace old, cracked render for a beautiful finish! 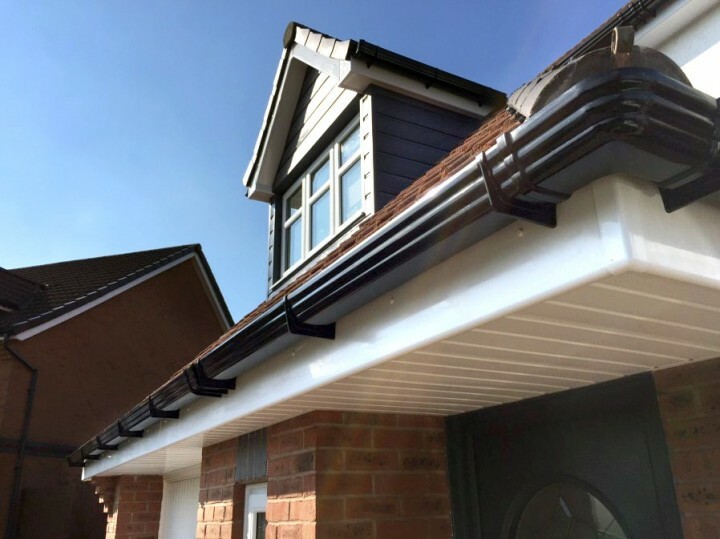 Freefoam is always interested in supporting and promoting our Registered Installers, and we love to see our products installed around the UK. Well done, Simon! 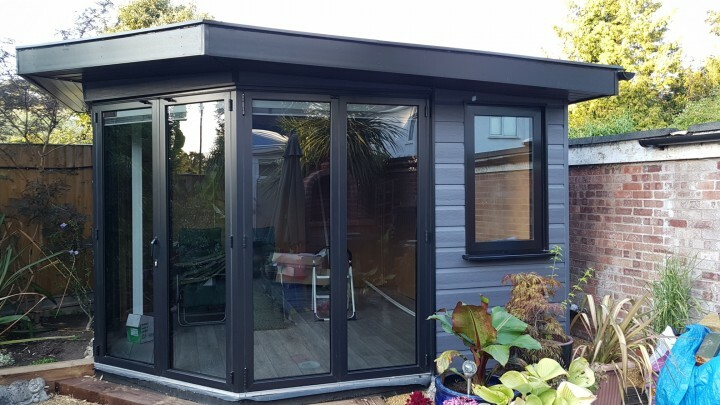 Nigel from Penryn has fitted his Storm Grey cladding from Penryn Plastics himself and says "Penryn Plastics were first class giving me lots of advice on what I needed and tips on installation. 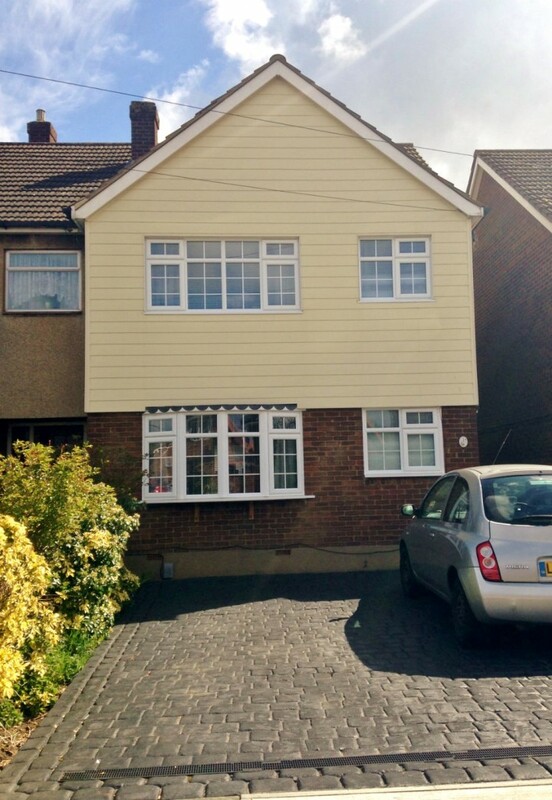 Extremely pleased with the results and have had lots of compliments on the finished article!" 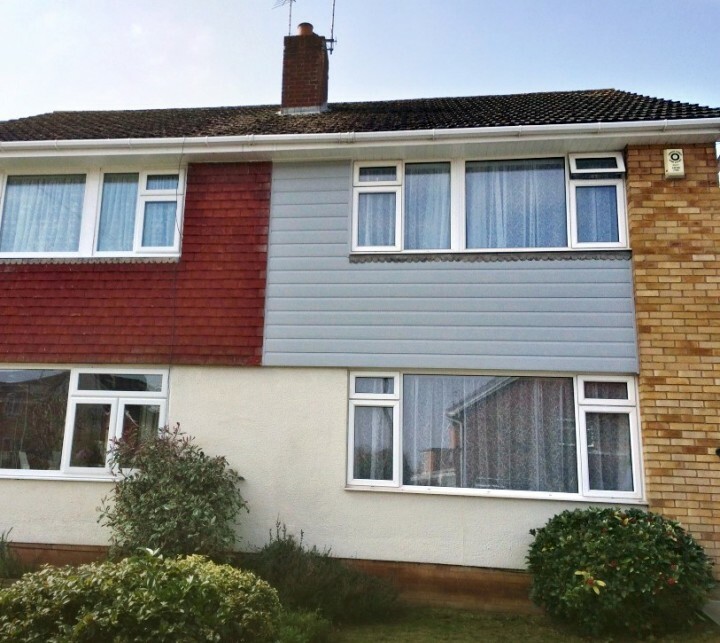 Freshen your home with cladding! 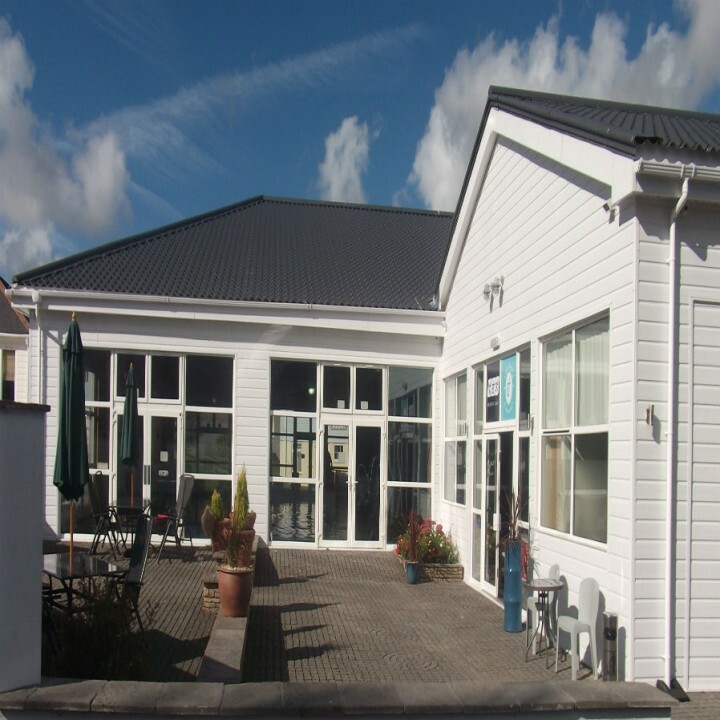 This Storm Grey cladding was installed by PVC Solutions Ltd.
White shiplap cladding creates a lovely coastal look for this cafe and office building on a leisure park in Cornwall. A clever use of Slate Grey shiplap cladding for this commercial building. 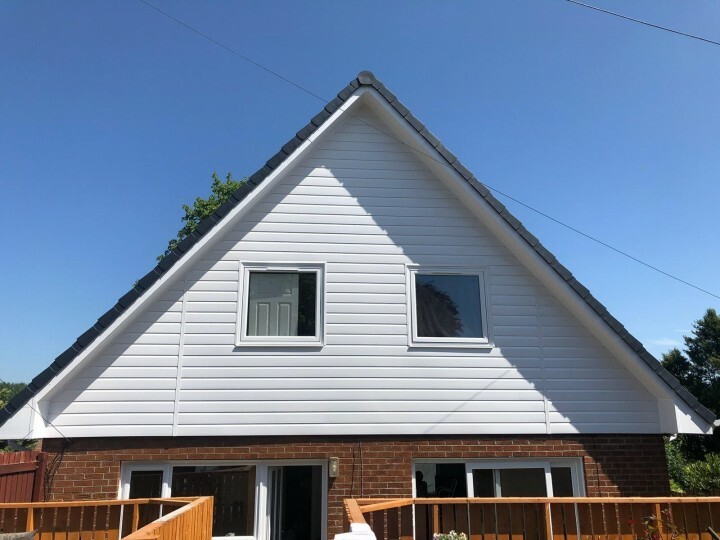 White weatherboard cladding makes a lovely facade for this detached home. 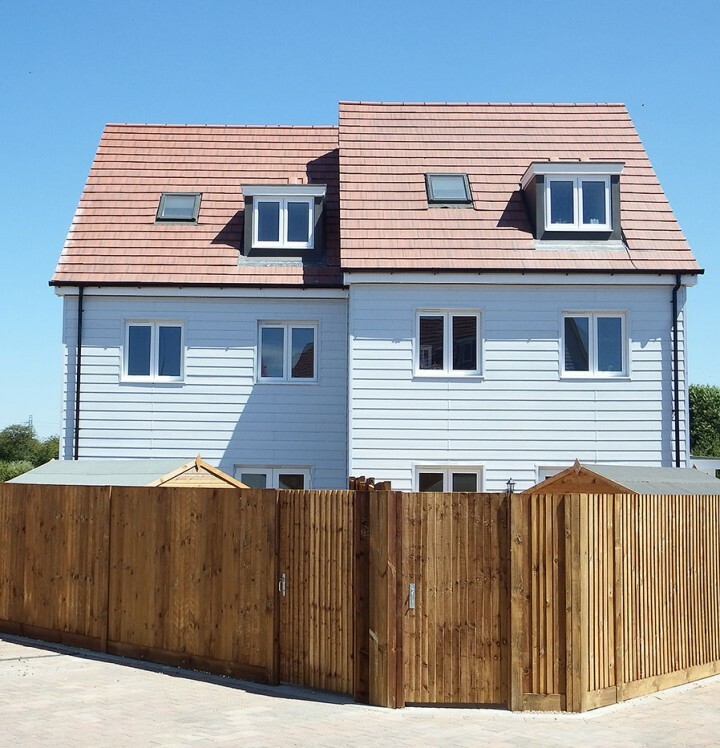 Pale gold weatherboard cladding used on a selfbuild project. 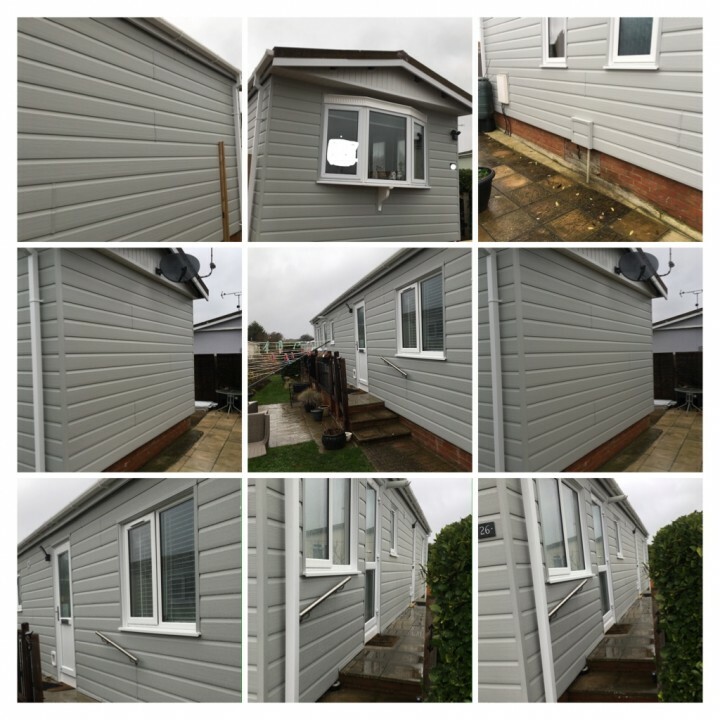 Argyl Brown Double Shiplap cladding used to replace hanging tiles. 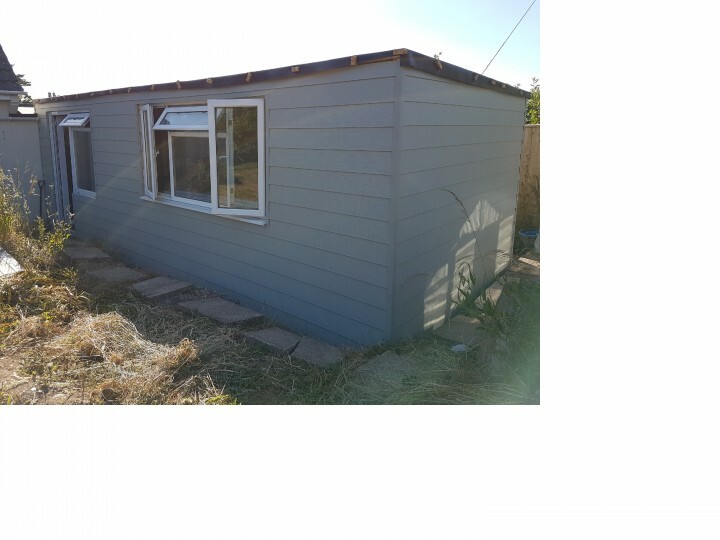 Colonial Blue Double Shiplap Cladding used on upper elevation. 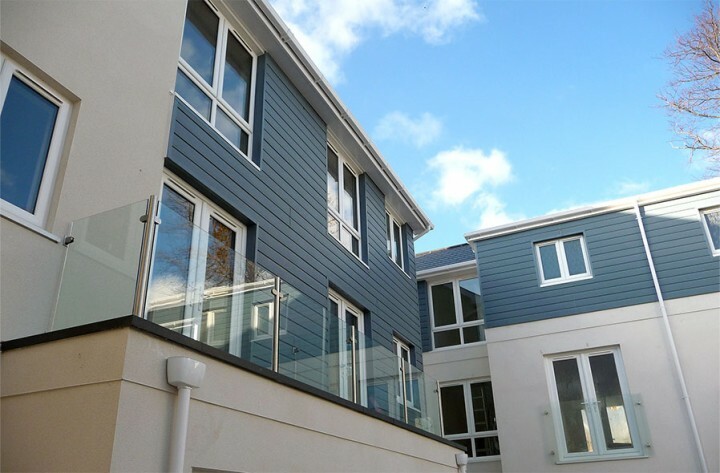 Pale Blue Weatherboard Cladding used to make a dramatic statement in a riverside location.